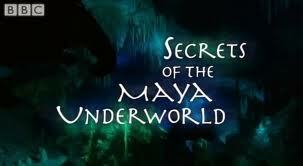 "Secrets of the Maya Underworld" delves deep into the history of this ancient civilisation that settled in the Mexican Yucatan, a peninsula the size of England that separates the Gulf of Mexico from the Caribbean Sea. In 1841, the intrepid explorer John Lloyd Stephens - who some consider to be the original, real version of Indiana Jones - amazed the world with his discovery of an entire ancient civilisation hidden for centuries in the tangled scrub jungles of Central America. He also noticed something uniquely curious about the Maya: unlike other great civilisations such as the Romans and the ancient Egyptians, the Mayan empire did not arise from the banks of a mighty river. Much of the Mayan world is in fact devoid of even the smallest river or lake. Then why did they populate the Yucatan? 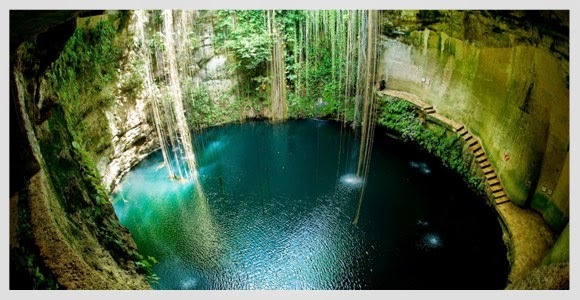 The Maya believed that the freshwater pools, or cenotes, dotted across the area were sacred portals to the underworld. They are indeed portals, but rather to an incredible underground labyrinthine system of rivers. They are only now being properly explored and understood, bringing more information to light about how this secret world was created by nature in a unique chain of dramatic events. Modern technology has allowed deeper exploration of these cenotes, revealing a world of contorted caverns, underground rivers and dark recesses alive with stalactites, stalagmites, bats and some very ancient species. But how were these underground watercourses formed? It's a mystery that is only now being pieced together, with Scientists conjecturing that it involved the birth and death of a coral reef and the impact of massive asteroid that is thought to have extinguished the dinosaurs. In this program, two divers - one British and one American - explore the pools of the Yucatan peninsula in Mexico to discover new elements of the Mayan culture and civilisation. American explorer and diver Sam Meacham came to the Yucatan in 1994 to spend 6 months exploring...and after over 10 years, he is still there. British-born Steve Bogaerts shares Sam's passion for both diving and exploring and together they mount explorations deep into the Yucatan's interior. They are attempting to track the thousands of cenotes and see how this underground system links up, underneath the flourishing jungle of the Yucatan. At the bottom of many cenotes, Sam and Steve have found offerings to Mayan gods, including pots and even human remains - that could be from human sacrifices. A whole food chain has been found in the deepest recesses of these cenotes - over 20 species that have never seen the light of day. Some of the underground caverns are not totally full of water, instead, incredibly, they are home to thousands of bats. "Cenotes really present us with the truest form of exploration found today. When we come up to the side of a cenote, we literally have no idea what we'll find at the bottom of it until we investigate and for me, that is one of the greatest thrills about what we do. ", Sam explains. It is only now that the true story of the Yucatan and the way the Maya civilisation flourished there, is becoming clear.